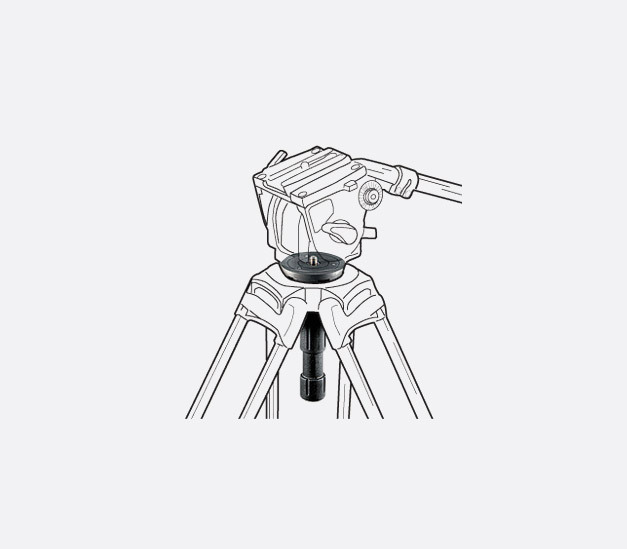 Manfrotto video tripod heads have been designed for videographers and filmmakers who require sturdy but smooth and judder-free movement. These video heads can be attached to compatible video tripods, see Manfrotto Video Tripods - Without Heads to provide smooth panoramic rotation through 360 degrees. Nitrotech is a new concept from Manfrotto, that is to use a unique 'Nitrogen piston mechanism' for 'continuous counterbalance' - making it easier to pan and tilt with a smooth and judder-free operation. The fluid drag is variable so the operator can adjust to suit their needs, whilst an adjustment knob gives control over the amount of counterbalance required for cameras of differing weights. Once set, the continuous counterbalance doesn't require manual adjustment while the head is tilted from -70 to +90 degrees. The 75mm flat base with, 3/8inch thread, has an illuminated levelling-bubble, powered by lithium battery, to give instant feedback on the horizontal state of the tripod, regardless of day or night operation. 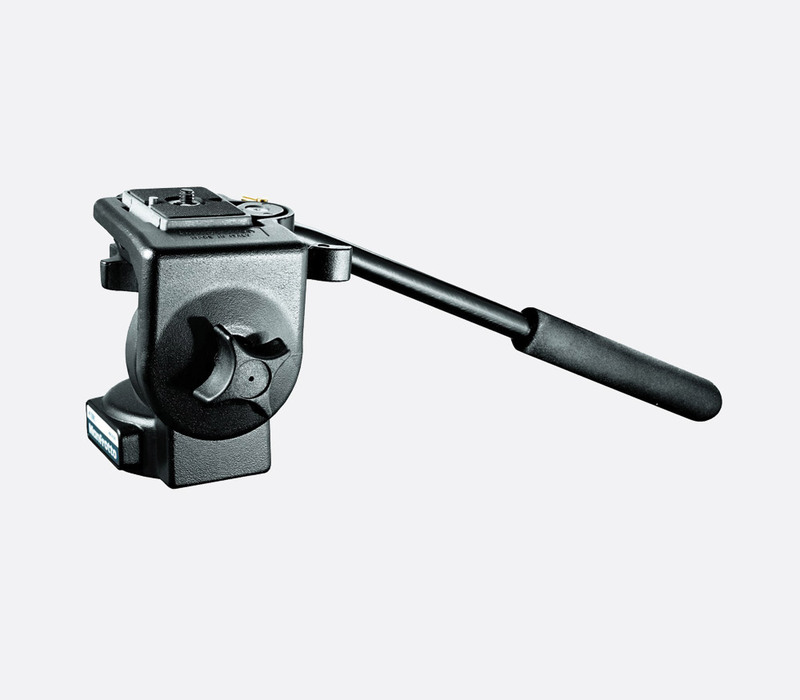 A single 3/8inch 'Easy Link' connector with anti-rotation teeth is situated on each side of the tripod head so the included pan bar can be attached to either side or other compatible accessories can be attached. The 140mm 504PLONG video camera plate with 1/4inch and 1/4inch to 3/8inch adaptor is included with the MVHN8AH Nitrotech N8 video head. 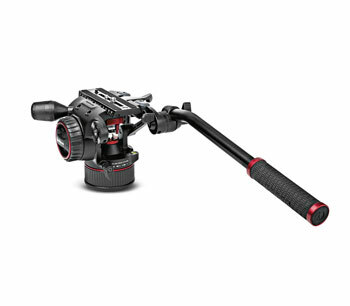 This lightweight video tripod head is designed to support cameras up to 5kg in weight. 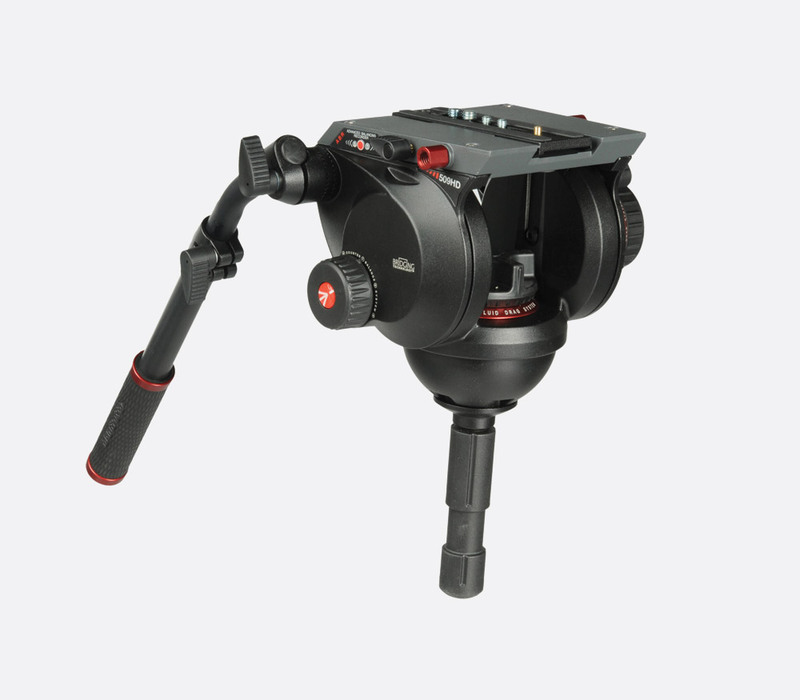 The MVH500AH has a flat base mount system with standard 3/8inch thread to connect directly to tripod bases such as the 755XB or 755CX3, or to tripod stands such as the 545B or 545GB when used in conjunction with a 500BALL 100mm half ball adaptor or 520BALL 75mm half ball adapter. Adjustments can be made to the fluid counterbalancing system by way of rotary control, and a locking wheel ensures the camera can be fixed in position when required. The side-lock fixing ensures the camera plate can be quickly and securely locked into position. The 120mm 500PLONG video camera plate with 1/4inch and 1/4inch to 3/8inch adaptor is included with the MVH500AH head. The MVH502AH has many of the same features as the MVH500AH, but has a greater front tilt capacity of 170 degrees and can cater for a payload of up to 7kg. Pan-drag can be adjusted by turning the red coloured rotary grip at the base of the head, and a pan locking knob situated just above the red rotary grip can be set to ensure the pan is fixed and only the tilt is operational. There is also the same control for the tilt mechanism in the way of tilt-drag control knob on the left of the head, and tilt locking knob on the right side of the head. 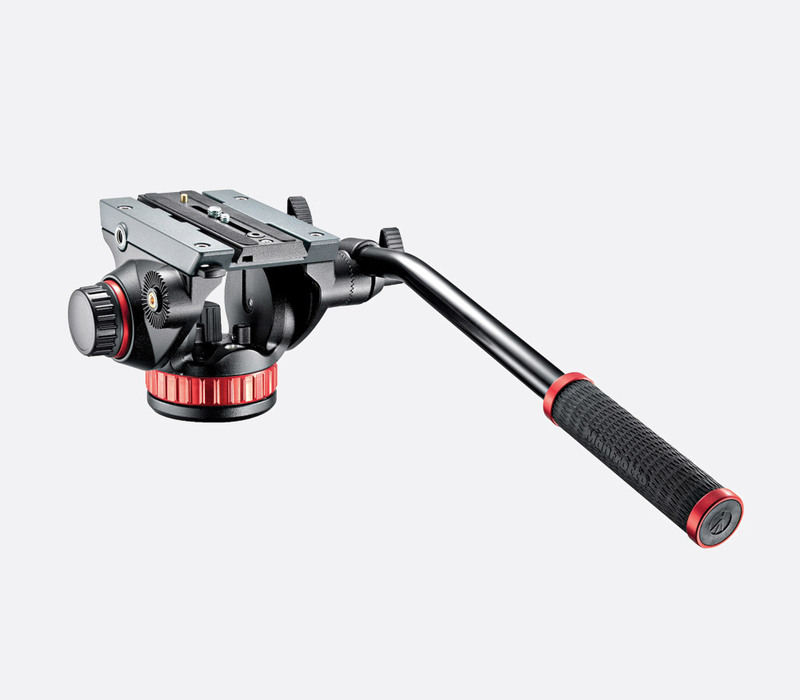 The pan bar attachment can be fixed to either left or right side of the video head via 3/8inch non-rotating thread. The head has a 75mm flat base-plate with 3/8inch thread so it is compatible with tripods such as the 755XB or 755CX3, or to tripods such as the 545B or 545GB when used in conjunction with a 500BALL 100mm half ball or 520BALL 75mm half ball when used with the 319 adaptor ring. The 140mm 504PLONG video camera plate with 1/4inch and 1/4inch to 3/8inch adaptor is included with the MVH502AH video head. The 504HD video tripod head is capable of supporting video cameras up to 12kg whilst supporting counterbalancing up to 7.5kg. A four-step counter-balancing system offers quick adjustment whilst both independent and variable pan and tilt fluid-drag knobs offer greater control over the speed of head manoeuvres. The head offers tilt of -60 to +90 degrees and panoramic rotation of 360 degrees. An illuminated levelling-bubble gives clear indication of the horizontal status of the tripod regardless of lighting conditions. This is capable of operating within a temperature range of -20 and +60 degrees Celsius. The 140mm 504PLONG video camera plate with 1/4inch and 1/4inch to 3/8inch adaptor is included with the 504HD video head. The 75mm half ball video tripod mount is compatible with the Manfrotto 545B or Manfrotto 545GB when used with the 319 adaptor ring. 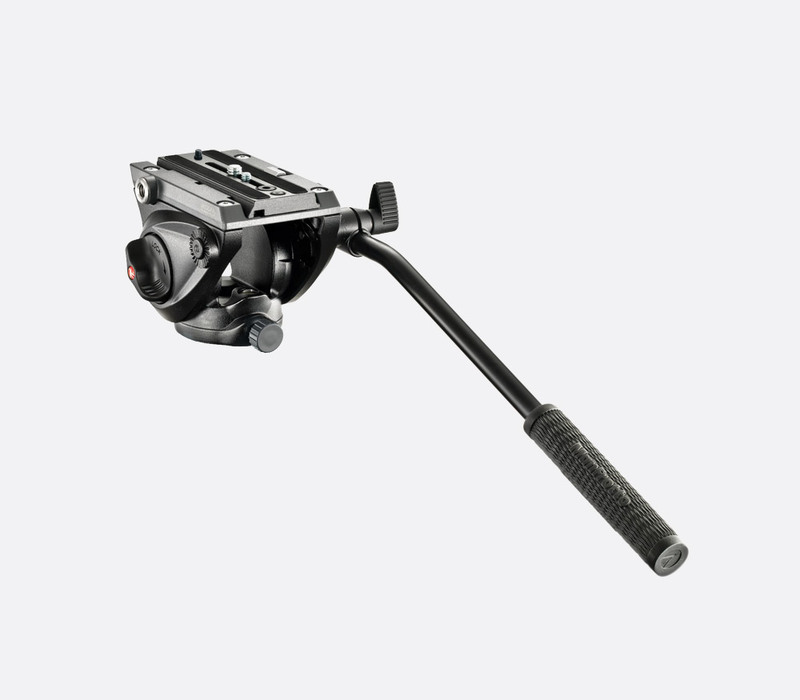 The 509HD has all the features of the 504HD but is capable of supporting video cameras up to 13.5kg in weight and counterbalancing up to 12.8kg. 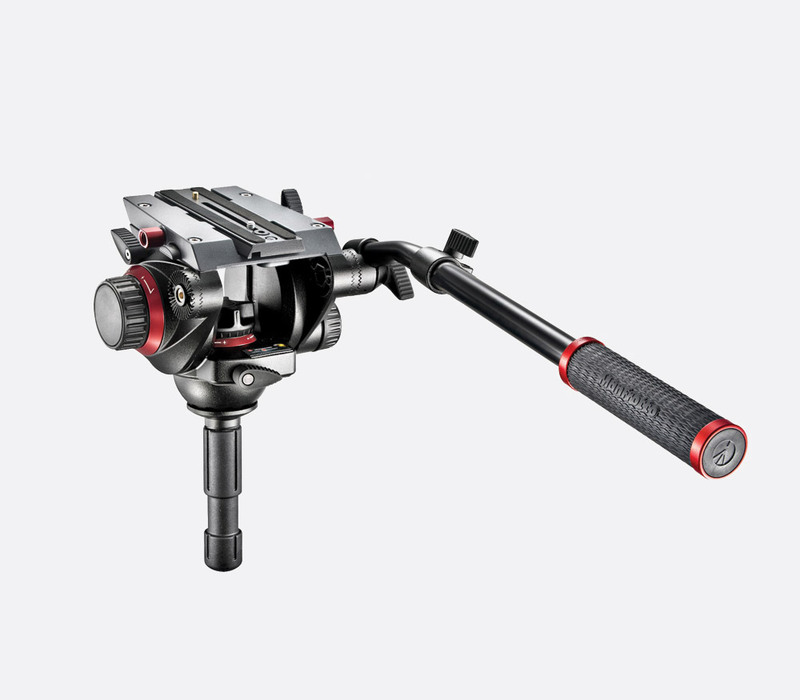 In addition, the 905HD includes the Manfrotto patented 'Advanced Balancing Recorder' (ABR) which enables the operator find, store, and call up the correct counterbalancing position of the included 509PLONG plate when used in conjunction with differing camera equipment. This video head has a 100mm half ball video tripod mount and is therefore compatible directly with the Manfrotto 545B or Manfrotto 545GB. 128RC micro fluid video head has been designed for lighter weight cameras, camcorders or DSLRs of up to 4kg in weight where fluid movement is still required to give a professional result. Both pan and tilt fluid cartridges have fixed drag although the tilt mechanism has a locking knob to prevent unwanted movement. A quick-release plate with 1/4inch screw can be attached to the camera, with the quick release trigger positioned on the rear facing side of the head. The 60mm flat base head with 3/8inch thread can be attached directly to the 755XB or 755CX3 video tripod bases. Note (1) All these tripods are made from alluminium, all include a pan-bar. (2) In degrees. Note(1) The plates are all made from aluminium. All include a 1/4inch to 3/8inch screw thread adaptor.